Here are some samples made by us for a special, undisclosed cause. All papers and accessories taken from the Vintage Collection CD. This last photo is made from an upcoming stamp, hope you like it. This is my beautiful puppy Rosie. We're getting another Cockapoo puppy on Saturday who is going to be called Fender. Yes, I know, you probably don't like that name. Trust me, I'm used to everyone saying that. But it's come from the Fender guitar, if you haven't already made the connection. As you can tell, Rosie won't sit still or stop barking long enough for us to get a good picture! Lisa Devere & Kelly Penston's Samples! Made with 'Beautiful Birdies' stamp set, string, Walnut Stain distress ink and the papers from our Vintage Collection CD. Made using BCE Spin a disk template. I have to say, green is my favourite colour. 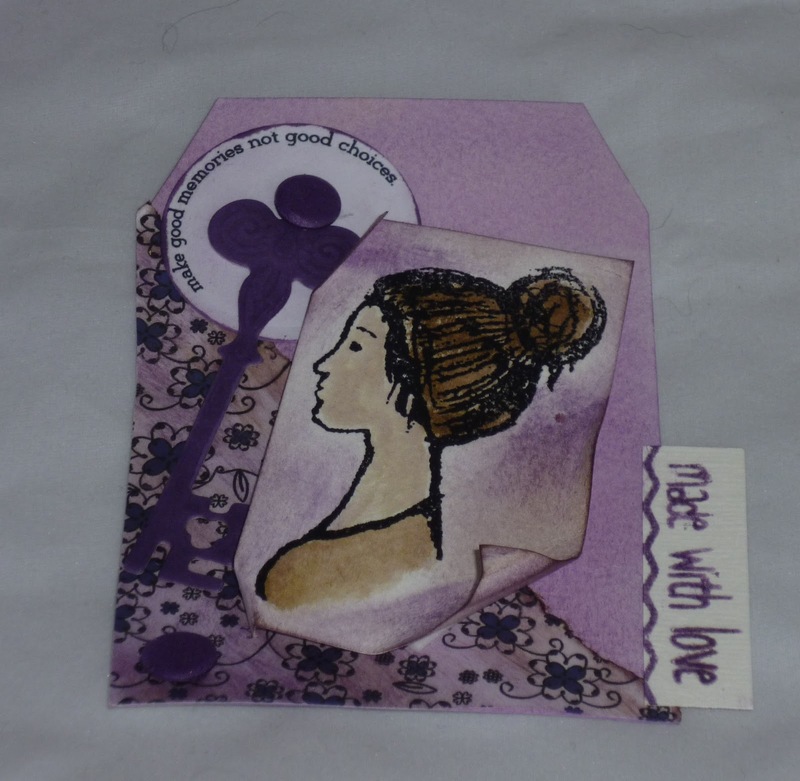 Using the text backing paper and the ticket sentiments off the Vintage Collection CD. This is using the vintage collection CD, our la rosa stamp to make the roses, the diasy chain stamp, the word set 1 and the dusky concord distress ink! So I was experimenting this morning with our templates and stamps. I made these cards, though I don't know if I'm completely happy with them. Never-the-less, I've posted them and here we are. I used the Daisy Chain stamp and the Hayleys Hut stamp. Our template (tunnel & fold) was used on the pop out card. I basically just used the tunnel template on a normal card. I've also been loving our word sets at the moment, especially for little tabs down the side! AND, I used our newest stamp set (the vintage stamp pack) which includes this adorable suitcase! So, all morning we have been busy making some sample cards with our latest templates on the 'Vintage Collection' CD! This is one of the 8 Original, brand new templates on our upcoming 'The Vintage Collection' CD! All of the above made by Lisa Horton! And below, made by Lynn Critchley! Sorry for the bad angle of this picture, it is normal tag shaped just not taken from above so it looks kind of distorted! The paper and the little circle sentiment is taken from our upcoming CD 'the vintage collection'. It is set for release at the Birmingham show on the 9th of April and will be available online on the 11th, the day before my birthday! 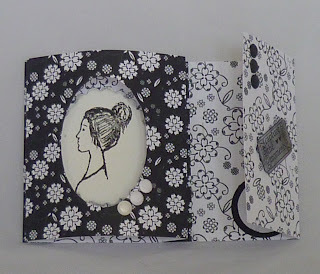 And this card is made from a template from the new CD (though there are 8 BRAND NEW templates on this CD) and our vintage papers, sentiments, and toppers! We're going to releasing a matching stamp set with this CD too, perfect for using with all the lovely templates, papers & accessories! It should be for sale at £5.99 so look out for that soon! It's also matched perfectly with the distress ink colours we are going to stocking as off sometime this week! So keep your eye on our shop at www.dreamees.org.uk as we're always adding new bits and bobs for great prices! Thankyou to our design team member Anne Browne for these beauties! One of our customers, Michaela Georgiou, recently bought our CD 'The Boutique'. She's made some beautiful cards and I thought I'd share them on here as well as on our website gallery! The first few samples we've had back...!